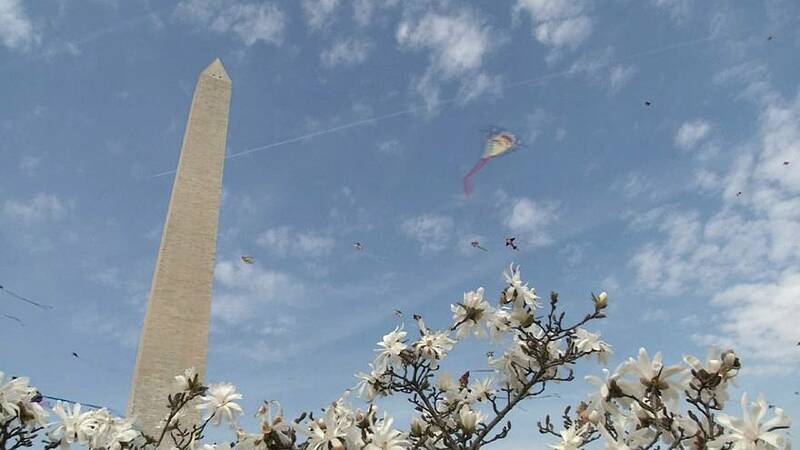 Spring made an impressive arrival in Washington DC with a kite festival held against the backdrop of blossoming cherry trees. It happened in the grounds of the Washington Monument on Saturday. A light breeze on the cool spring morning helped kites of different shapes and sizes take flight. Even the most inexperienced handlers were rendered joyful as their kites thronged the skies along the National Mall. Formerly known as the Smithsonian kite festival, DC's annual event is part of the larger National Cherry Blossom Festival, which spans across March 20 to April 14, 2019, and invites visitors from across the world. The festival is as much a celebration of spring and new beginnings as it is of an "enduring friendship" between Japan and the United States of America. The close bond was forged in 1912 when the then Tokyo Mayor Yukio Ozaki gifted 3,000 cherry blossom trees to Washington DC. As a marker of reciprocity, the United States sent dogwood saplings to Japan three years later, further strengthening the ties between the countries. According to the National Park Service, the trees are currently almost at peak bloom. As of April 1, the festival's website says, 70% of the Yoshino cherry tree blossoms surrounding the Tidal Basin are open.